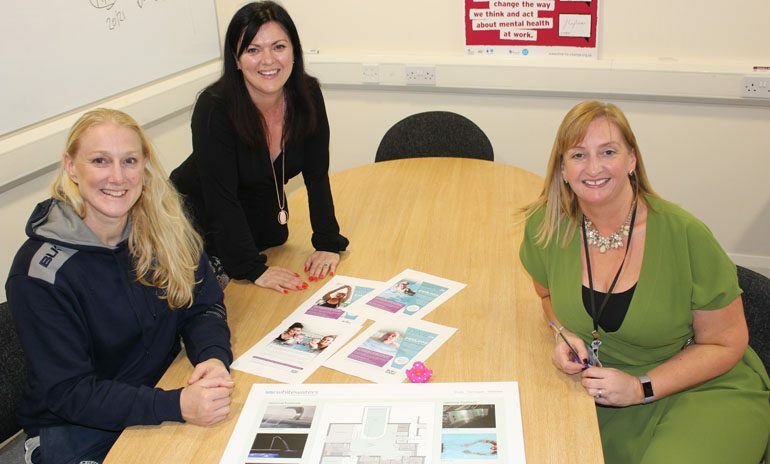 Former Six Nations Rugby squad captain Tamara Taylor has given her backing to the Pioneering Care Partnership’s hydrotherapy pool campaign. She will be helping to spread the word about the positive impact hydrotherapy treatment has on people and why the pool is such an important resource for the whole community. Tamara visited the centre recently and met with some of the users of the pool to hear how the pool helps with pain management and strengthening as they manage their own conditions. Tamara has herself experienced injury and has had two major operations, knee reconstruction and ankle surgery. “Using a pool like the one at PCP helped me strengthen my ankle and has been so vital in achieving a good rehabilitation, due the buoyancy of the water I was able to walk and run well before I was able to on land,” said the athlete. The fundraising campaign is gathering pace, after receiving a significant donation of £50,000 taking the current total to £204,000. The total refurbishment is expected to be in the region of £410,000.